Jenny by Jenny Yoo “Wallace” organza ball gown, $1,400, from The English Dept. in Southeast Portland. Kenneth Jay Lane drop earrings, $120, from Macy’s. Vrai & Oro stacking rings in 14K yellow gold, $186, from vraiandoro.com. Gold-tone ring, $18, from Madewell. Leanne Marshall “Montana” ivory silk/cotton bow-dotted chiffon gown, $3,690, from The English Dept. Vince Camuto drop earrings, $38, from Nordstrom; Elizabeth and James faux pearl ring, $70, from Nordstrom; Messika 18K gold and diamond ring, $7,000, from Nordstrom. 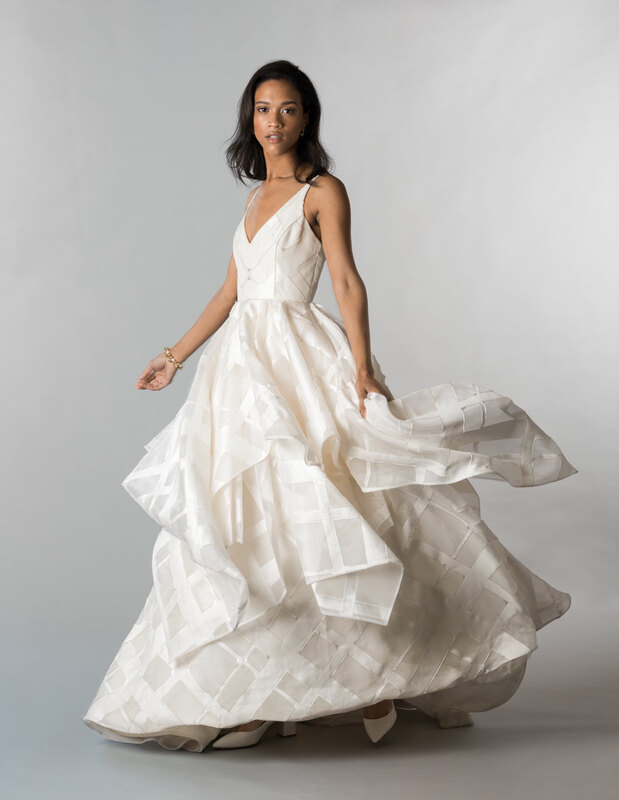 Modern Trousseau “Lockheart” dress in diamond white, $5,250, from Anna’s Bridal. Vince Camuto faux-pearl gold-tone earrings, $25, from Nordstrom. Faux-pearl bracelet, $35, from J.Crew. Elizabeth and James faux-pearl ring, $70, from Nordstrom. 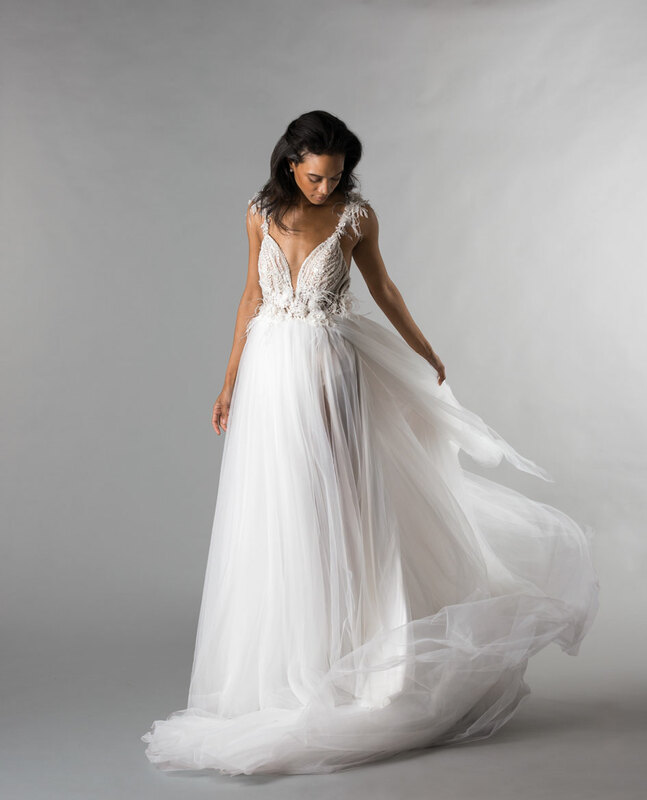 Truvelle “Kyra” beaded tulle and chiffon gown, $2,457, from A&Bé Bridal Shop. Snake earrings in 14K gold, $980, from Margulis Jewelers in downtown Portland. Tatyana Merenyuk “Marlene” silk chiffon A-line gown with ballet sleeves, $2,925, from The English Dept. Ralph Lauren beaded drop earrings, $50, from Nordstrom. Messika 18K gold and diamond ring, $7,000, from Nordstrom. Vrai & Oro stacking rings in 14K yellow gold, $186, from vraiandoro.com. 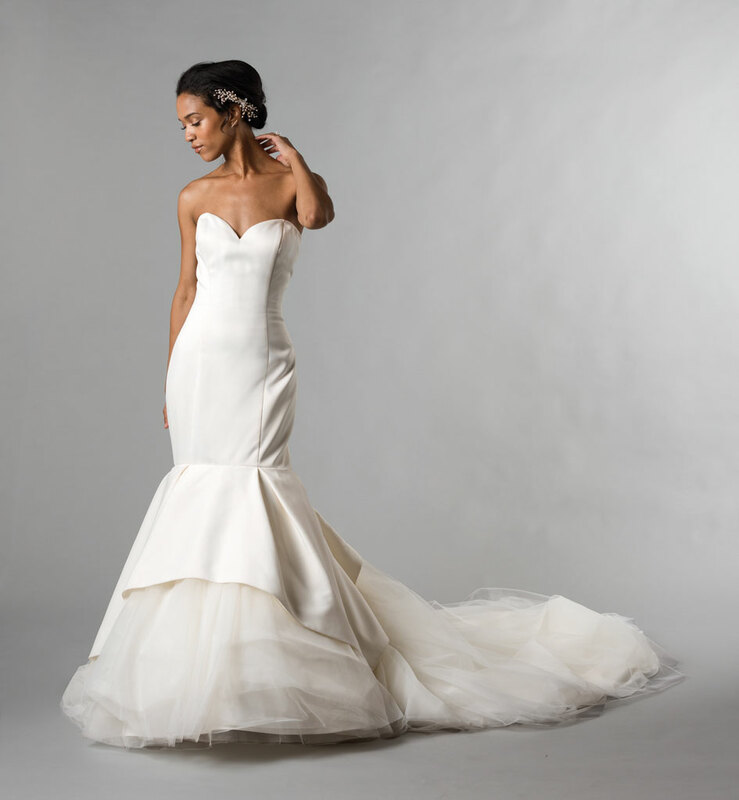 L’Amour by Calla Blanche “Solange” A-line beaded gown with feather detail, $1,500, from Charlotte’s Weddings & More. Ralph Lauren stud earrings, $52, from Nordstrom. Lena Medoyeff “Ines” one-shoulder silk crepe dress with silk organza bow detail, $2,600, from Lena Medoyeff in Northwest Portland. Crystal drop earrings, price upon request, from The English Dept. 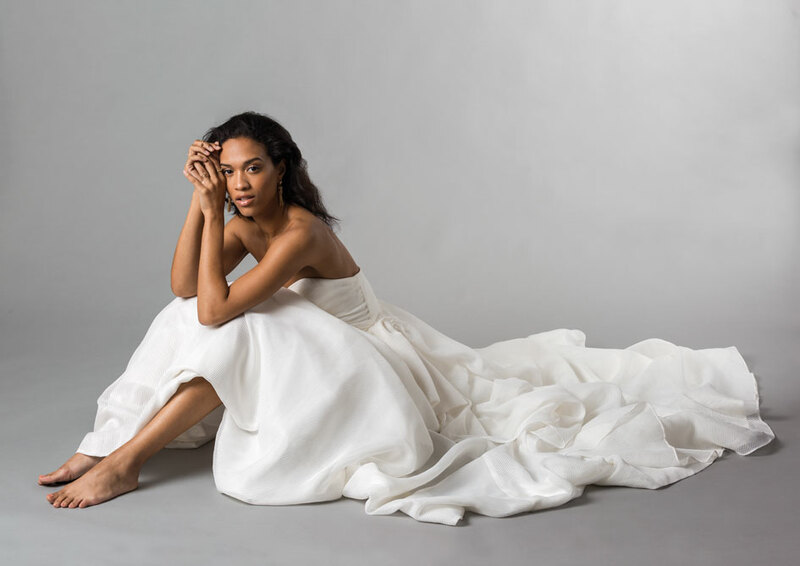 Justin Alexander satin mermaid gown (style 8933) with tulle and organza apron skirt, $1,999, from Charlotte’s Weddings & More. Seed pearl headpiece, $260, from The English Dept. Kathleen Whitaker earrings, $260, from kathleenwhitaker.com. Elizabeth and James ring, $70, from Nordstrom.